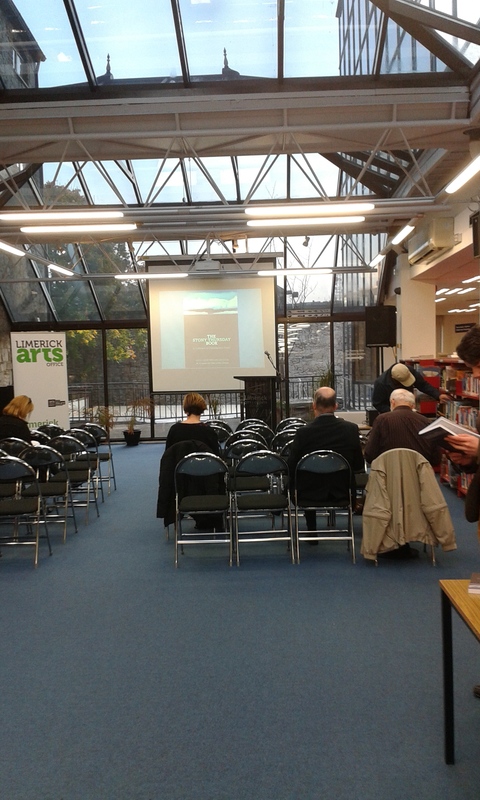 Ennis Book Club Festival – Launching! Tomorrow, I’m heading into Ennis to help launch this year’s Ennis Book Club Festival. Not too long to go now, and the excitement is mounting! If you’re around the town, drop in to the Temple Gate Hotel at 12.30pm to get the party started. If you can’t join us tomorrow, you can find out all you need to know about the Festival by clicking here. Time to get some of the work by authors who are visiting Ennis in March, so I’ll also be dropping in to the Ennis Bookshop to spend my Christmas book token. 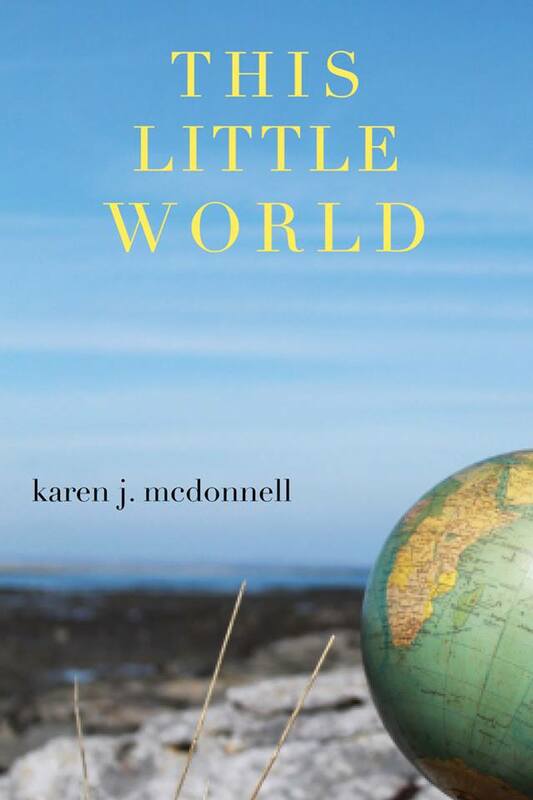 They also have a few copies of my book, This Little World in stock. Ahem. Well, Launch Day is almost upon us! The house elves in Doire Press and Ballyvaughan have been busy: organising wine, glasses, a lectern and – in my case – sorting out what to wear, Darlings! It’s been an amazing few months: chock-full of poet-type angst, comradeship at Annaghmakerrig, excitement at being chosen by Doire Press, worry that I wouldn’t make the grade, delight in signing the contract. It was thrilling to see the proofs appear on the desktop; even more so to tear open the envelope and hold the first copy of my debut collection in my hands. This Little World – my precious! So now is the time to celebrate with Lisa and John from Doire Press, and with my family and kind, loyal friends. 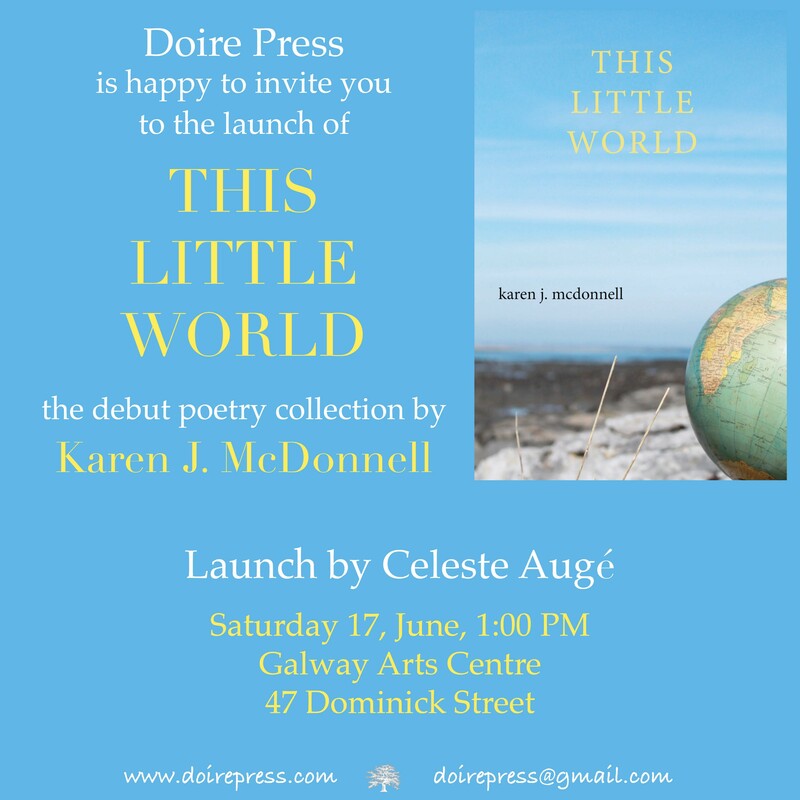 I’m extremely grateful to writer & poet Celeste Augé for launching This Little World into the wider world. Apart from the speeches, there will be wine, and a bit of poeting. Mostly though, PARRRTAAAAY!!! If you happen to be in Galway on Saturday, don’t just stand there peeking through the window, or standing in the doorway. Come in and join us! Launching on 17 June 2017 in Galway. More details to follow! Great turnout for the launch of Doire’s latest: ‘What Else is There? by Adam White. At Charlie’s. By Mike McCormack. Perfick! A Not So Stony Thursday! 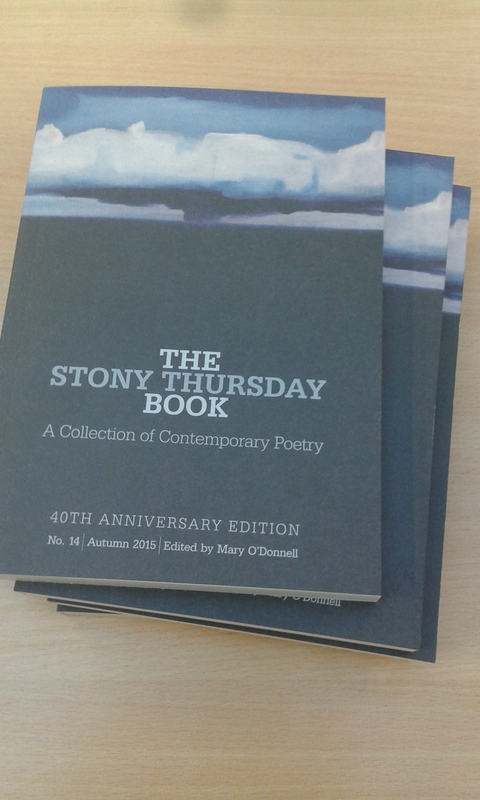 A gorgeous evening here in Limerick for the launch of The Stony Thursday anthology. This year’s editor is Mary O’Donnell, and it looks like the city has put on its best frock for her! So unlike the stormy night last year. I’m very happy that my poem ‘Grave Good’ is in such lovely company.